The DELE exams are split into levels and also into age ranges. The DELE for school level children is called the DELE para Escolares. LAE Teens offers courses for children to prepare them for the exam, and also can advise on how to best reach the level necessary for your children to pass. Are you looking for your child to take the DELE para Escolares exam? 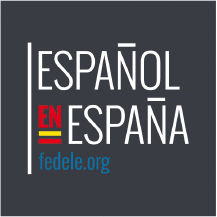 In LAE Kids, we offer DELE para Escolares preparation, either at our school in Madrid or online. For more information contact or email us at info@laekids.com.